Welcome Home! 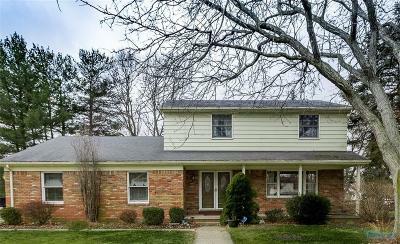 This beautiful 4 bedroom, 2.5 bath with an updated kitchen is in the desirable Laurel Valley neighborhood. Located on a corner lot this home offers spacious room sizes and a sunken family room with a brick feature wall plus a wood burning fireplace. Less then a mile away you can enjoy Swan Creek Metroparks or let the park wildlife come to you. There are always deer wandering through!